Hi, I was browsing through your photo gallery and would like to be included. I'm 46 and have been playing over 30 years. 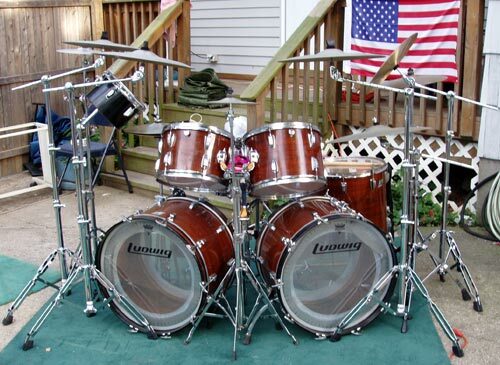 Here's 2 photos of my early 70's Ludwig kit. 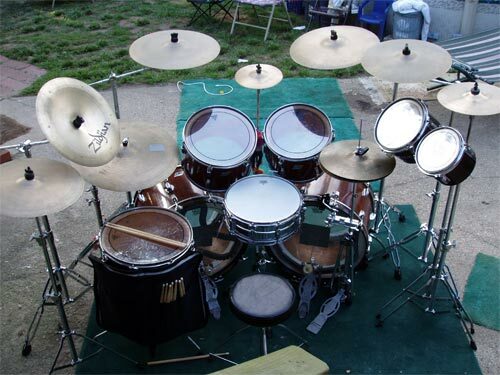 It's (2) 22'" bass drums, 13" and 14" toms, 16" floor, 8" and 10" CB700 concert toms, 5"x14" supraphonic snare with die cast rims, and assorted Zildjian and Sabian cymbals.